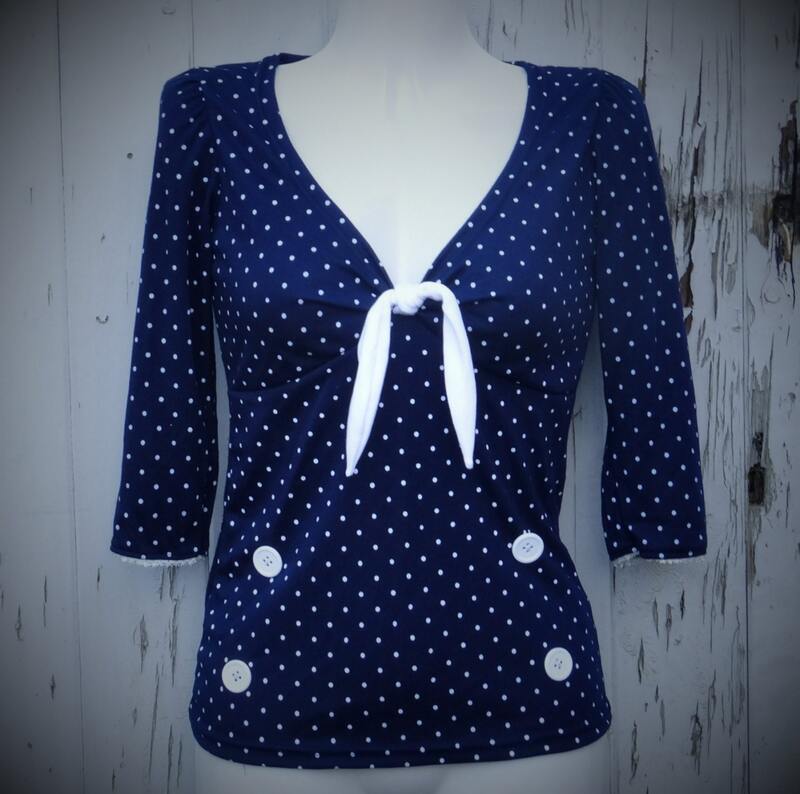 This flattering pin up girl top is perfect when paired with a pencil skirt or a pair of trousers. It is made from soft fabric which is 95% cotton and 5% elastane to give it some stretch. 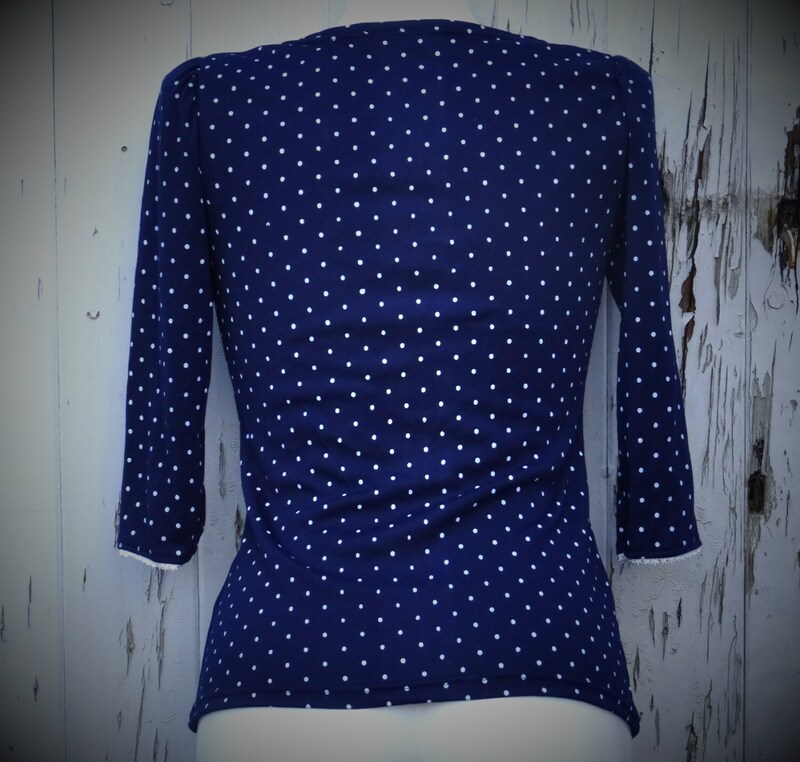 It has a white polka dot print, 3/4 length sleeves and button details. It is available in UK size 10/12, 12/14 and 14/16. The exact measurements are as follows. Bust: 84cm-90cm / 33"- 35 1/2"
Waist: 74cm-82cm / 29" - 32 1/4"
Length: 58cm / 22 1/2"
Arm Length: 43cm / 17"
Bust: 88cm-96cm / 34 3/4" - 38 3/4"
Waist 78cm-88cm / 30 3/4" - 34 3/4"
Length: 61cm / 23 1/2"
Arm Length: 44cm / 17 1/4"
Bust: 96cm-108cm / 37 3/4" - 42 1/2"
Waist: 88cm-94cm / 34 3/4" - 37"
Length: 65cm / 25 1/2"
Arm Length 45cm / 17 1/2"